Here is your complete guide to a magical Zahramay Falls celebration! 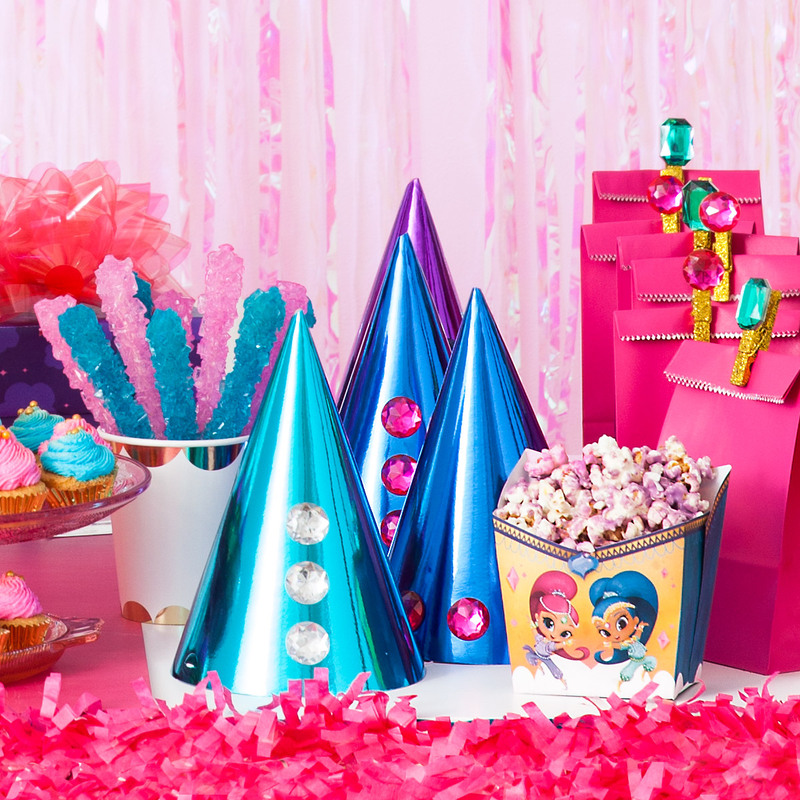 Trying to throw your child a Shimmer-and-Shine-themed party but having trouble finding any divine inspiration? At times like these, you pray your child’s party would just plan itself. Wishful thinking! 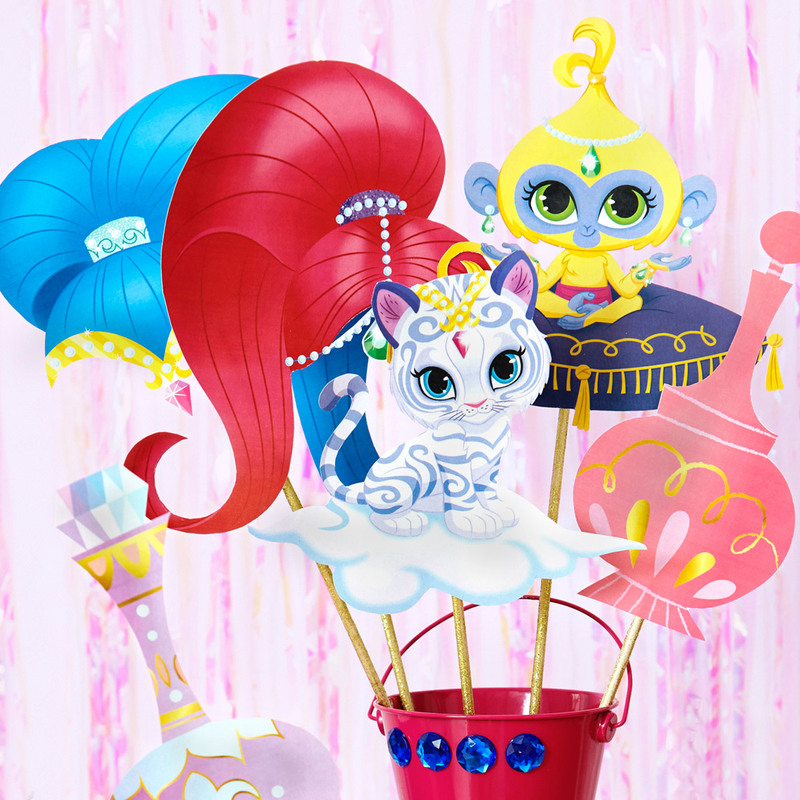 Don’t worry: if anyone knows how to make something out of nothing, it’s Nick Jr.’s genies divine, Shimmer and Shine! We created a simple, step-by-step guide that will transform your home into a magical Zahramay palace. 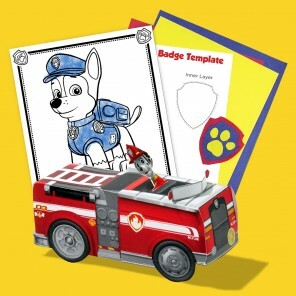 Make your little one’s wishes come true with the party they’ve always dreamed of. 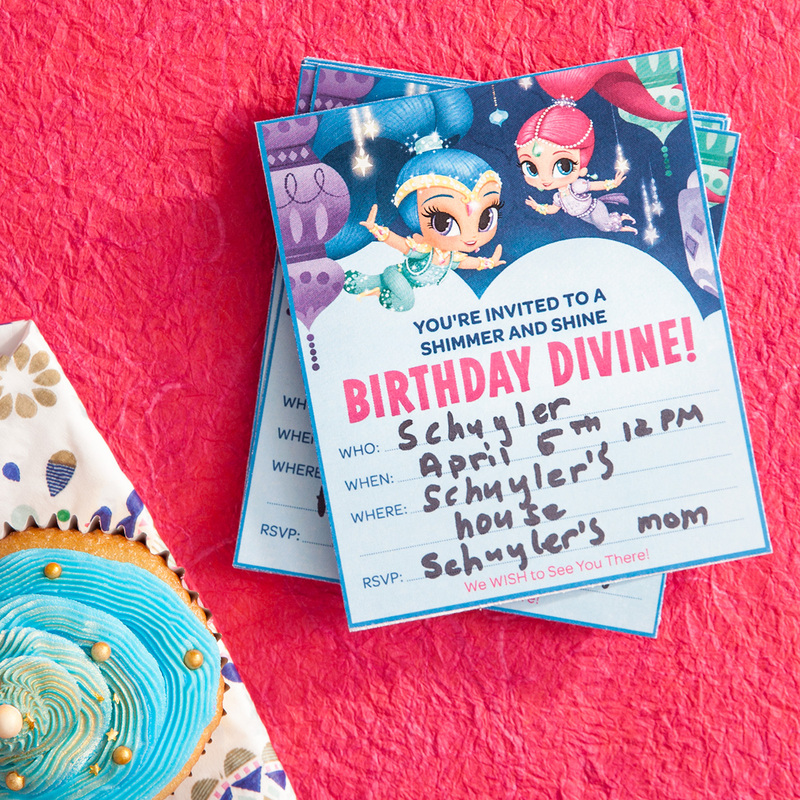 Kick off the party planning with these genie-inspired invitations. Simply print, address, and mail them out to family and friends! Transform your home into a Zahramay Falls wonderland–think sparkles, bold colors, and lavish designs. We like dressing up bare walls with magenta tassels and cobalt lanterns to conjure a majestic feel. 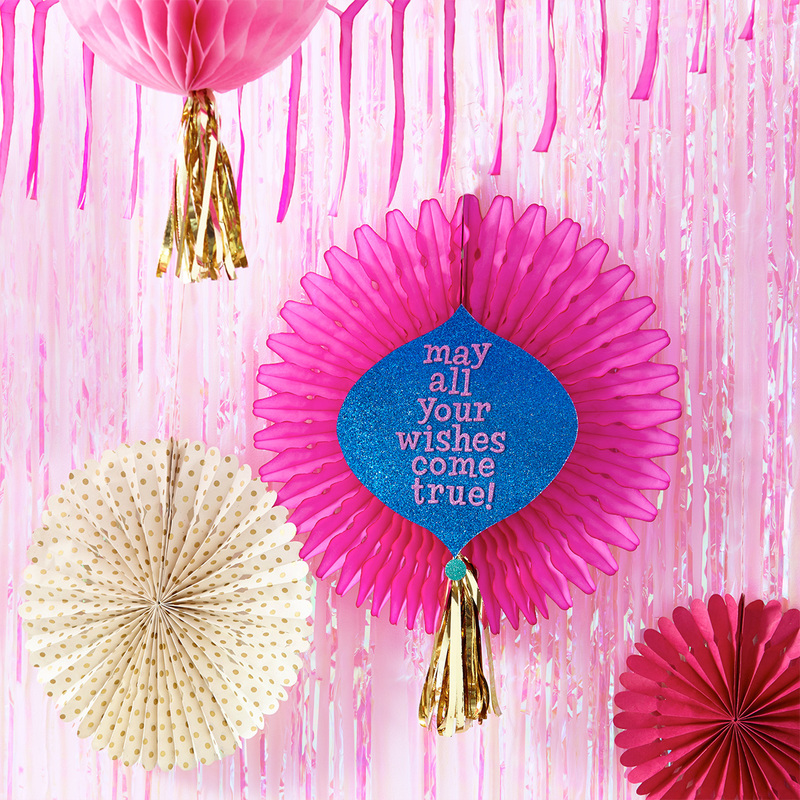 Next, create or buy delightful party hats for all your guests, like these ones made of shiny craft paper and different colored gems. Last but not least, make shimmering, shining clothespins to secure your goody bags. 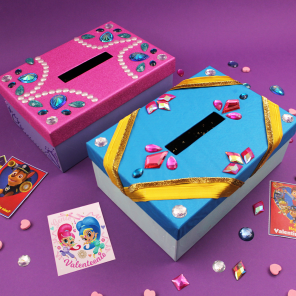 All you need is clothespins, glitter, gems, and glue! Who knew clothespins could be so pretty? 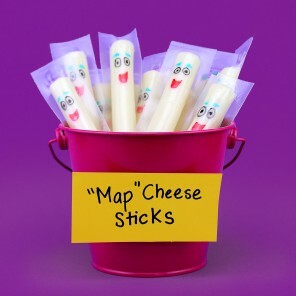 Now, how to keep all your party people occupied? 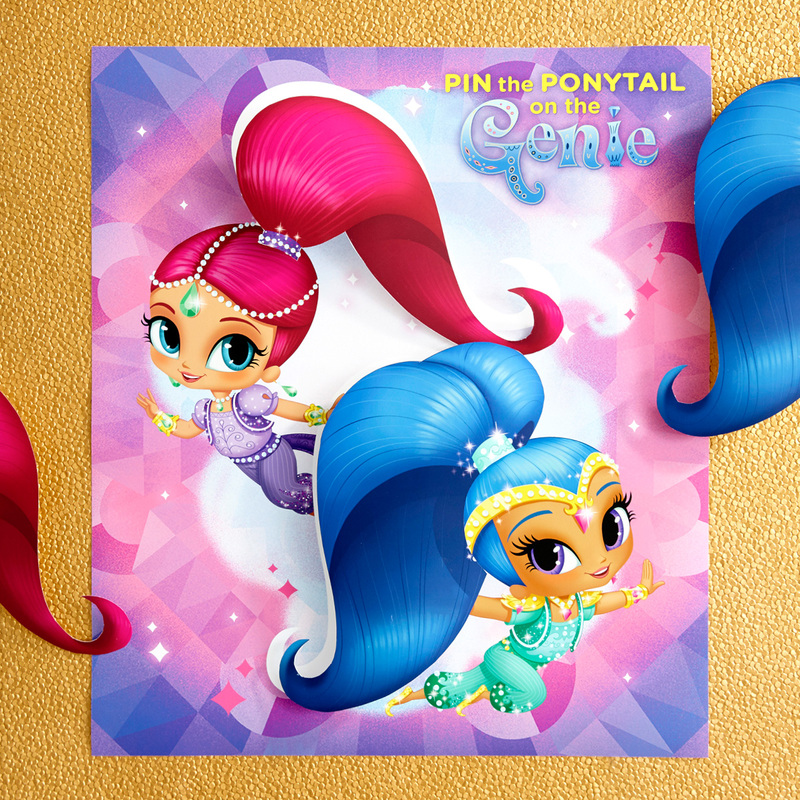 Pin the PonyTail on the Genie and Genie PhotoPoof printables will make your life a piece of cake! 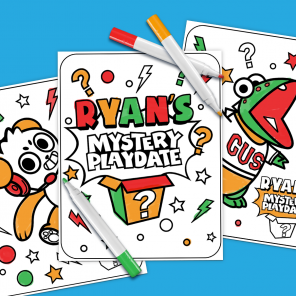 We even have Zaharamy Zen coloring sheets for you and the other grownups! 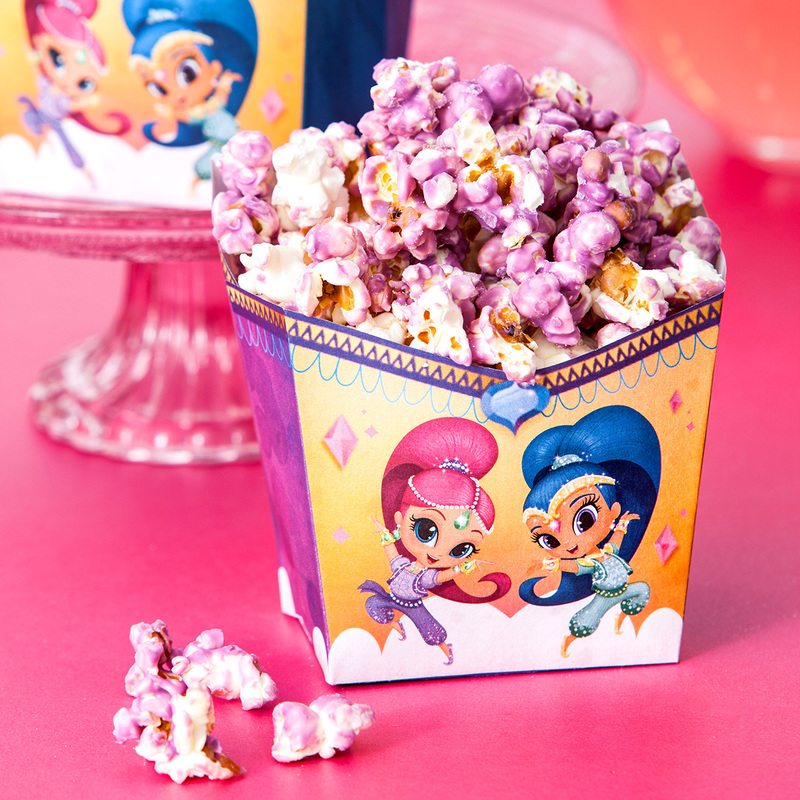 We all know Shimmer and Shine have a knack for making popcorn. Make your very own purple popcorn using candy melts, which you can find at your local grocery store. 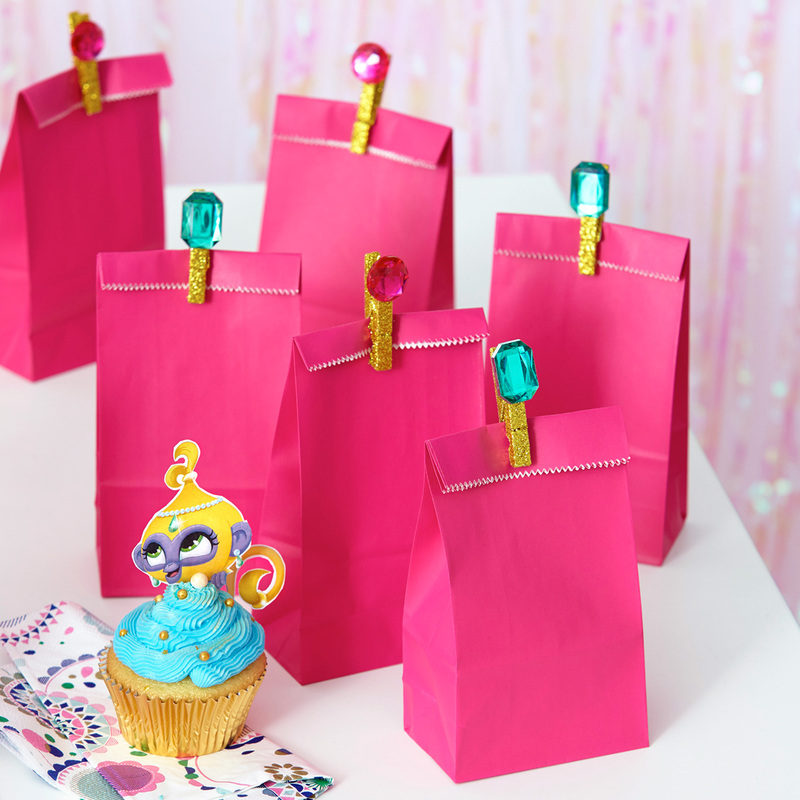 For the finishing touch, serve them up in these adorable popcorn holders! 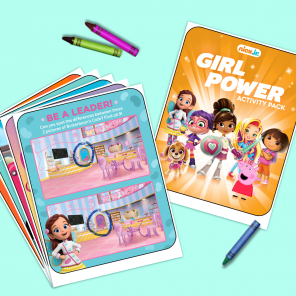 Does your little one love Tala and Nahal? 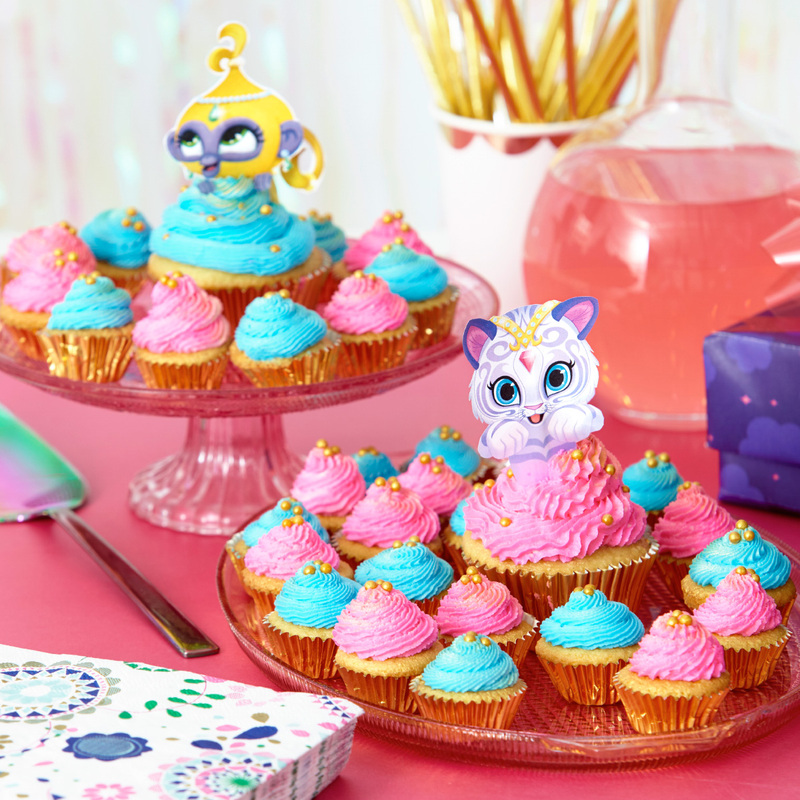 Print out these cupcake toppers and have them playfully perch on top of sweet treats! Lastly, bottle up your kid’s favorite pink drink to add a touch of color to your display. 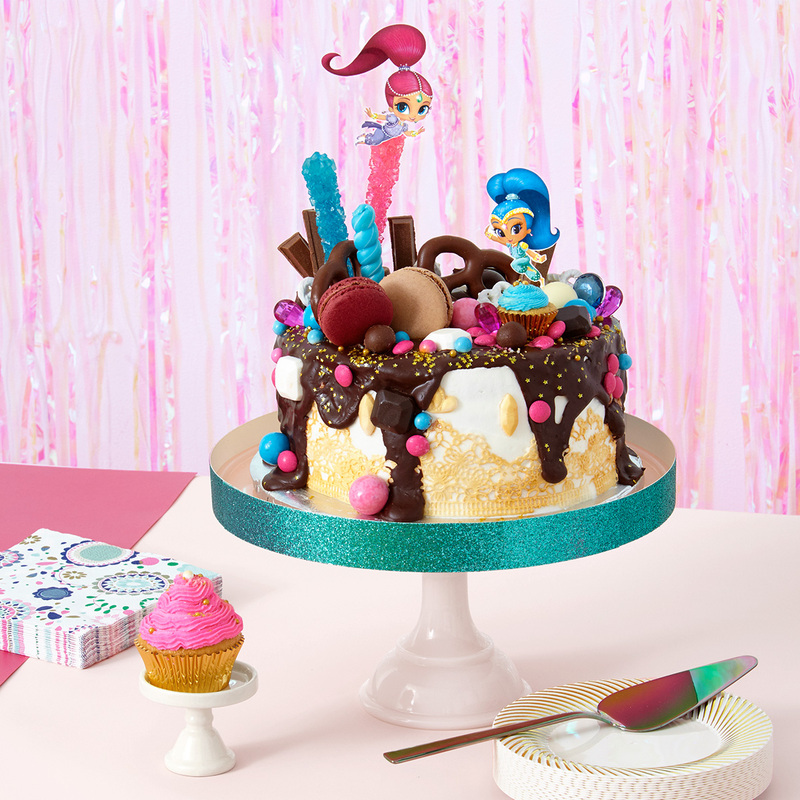 What do you get when you ask Shimmer and Shine to make a birthday cake? An “Oopsie” Cake! Some call it a messy concoction; we call it a mesmerizing confection. 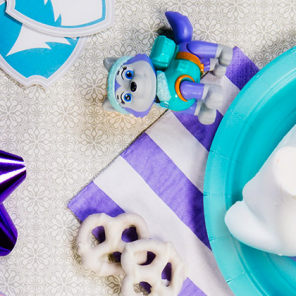 Scatter your little one’s favorite sweet treats on and around the cake. We used everything from macarons to rock candy! Boom Zahramay! 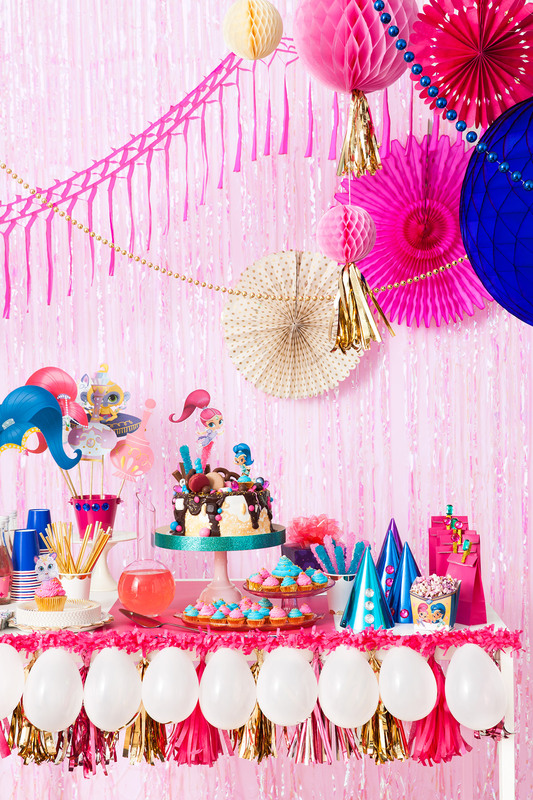 With a little help from us at Nick Jr., you can make your little one’s birthday party truly magical.